In 2003, after becoming a Black Belt World Champion, I was invited to spend 3 months teaching in the EUA. I decided to go because of the experience, the chance to travel and to be able to dust off my English. I had not professional expectations whatsoever. I came back from that trip wanting to make a living from Jiu Jitsu, but always keeping a realistic outlook of things. When weighing off the pros and cons, I deduced I could profit from teaching Jiu Jitsu around the world for a maximum of 10 years (that is the average time it takes a person to get their black belt). After that time, I knew I would have to have to choose another life path. So, why would a country I helped train several graduates, whom now have their own academies and teach me so much every time I visit, still invite me over if not for the friendship built throughout the years? 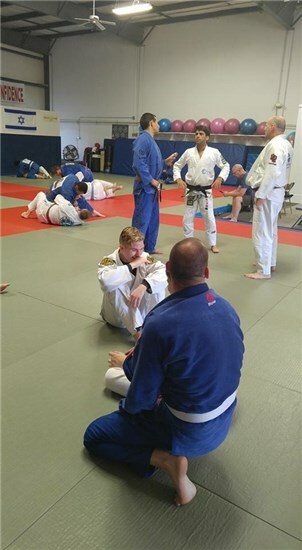 I would dare to assume, without sounding pretentious, that I still get called to teach seminars not because of my Jiu Jitsu techniques – those are hardly a secret now, but because of the way I understand and apply the techniques. It’s the different combinations and the way I can fraction the sequences that up to this day raise an interest. If grappling techniques were letters (each of those letters representing a movement or a grip), after teaching the alphabet, I would be left with nothing else to teach. What I teach is a language, the Brazilian JJ language. What I teach are not just letters, but a combination to create words, and the way I do that is by spelling them so that everyone can understand. After a 5-month recovery period from my surgery, I went back to training with a lot of physical and mental limitations from undergoing a complex medical procedure and, consequently, the lack of stamina. Needless to say the negative impact a long term recovery can have on someone’s motivation to the point of having to exercise a control on one’s ego. Combinations would not come into my mind immediately, but with several adjustments and time, I was certainly getting there. At present, I am not 100% recuperated, but I am better. I can manage to combine more efficiently, due to having less “pain” as a limiting factor. My last seminar was based entirely on those new “phrases” I had to create to dribble with my limitations at that time. Can I say I invented/created something new? I am not sure, I don’t think so. My virtue may be reflected on my creativity trait and the way I can perceive combinations. Same combinations that may be perceived by others across the world to create a whole new “grappling” language other than Brazilian JJ. At the end of my last seminar, a student came to me and said he was not aware of my wrestling knowledge. I laughed in disbelief replying that my expertise in that area was limited. He was surprised of my answer because he saw my grips were highly rich on wrestling details. Further, he showed me some takedowns using the very same grips I had previously taught. I was marveled! Different languages (modality) may be created by the same letters (techniques), with diverse combinations in accordance to each particular need, cultural influence, and rules. Seek to learn the words, the phrases, the languages, and not just the letters. Surround yourself with people who holds a vast vocabulary, understands the combinations, and most certainly, your evolution will be grand.